Syncopation. We wonder how many Brooklyn musicians are aware of what that means or sounds like, since it's a musical figure that's nothing short of anathema in many genres popular in the neighborhood like garage rock, punk and derivatives. 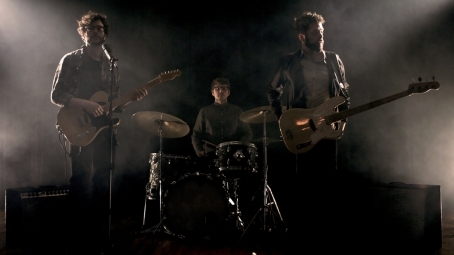 The Letter Yellow's latest single 'Any Time of Day' (premiering below) is a song about waiting, which is what syncopation is all about. It opens with a groovy, syncopated bass line that immediately conveys sophisticated musicianship and some kind of jazzy influences - which actually aren't developed in the remainder of the song. A minimal guitar and drum arrangement carries Randy Bergida's smoky tenor towards a portentous chorus, filled with synthetic brass fanfare and subtle guitar noises. 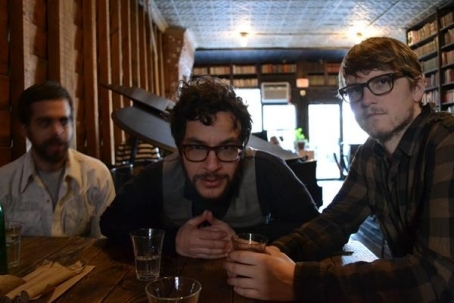 The trio landed a residency at The Living Room, a venue dear to The Deli, which recently moved from Ludlow Street to Metropolitan Ave. in Williamsburg. See them any Monday from July 27 to August 17. 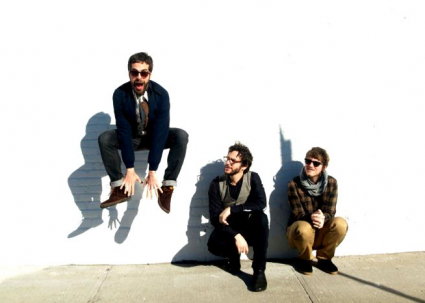 In 2012, NYC's The Letter Yellow released a beautiful album of thoughtful pop tunes with Americana influences, entitled 'Walking Down The Streets." The record married luscious melodies a la "The Smiths with a more melancholic vibe, a quality hard wired in lead singer's Randy Bergida vocals. On June 18 at Cameo, the band will be previewing tracks from their upcoming album 'Watercolor Overcast' which will be exclusively available on vinyl after the show and digitally later in the summer. Check out below "Out in the Streets" from their debut album. After years of playing with Portland rockers Skidmore Fountain, guitarist and vocalist Randy Bergida broke off to form The Letter Yellow. 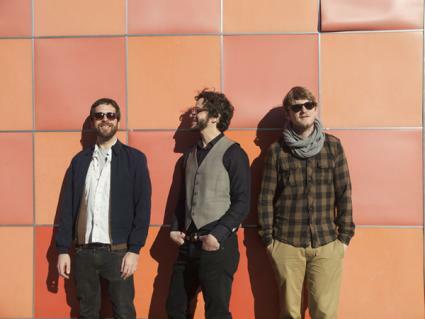 The Brooklyn-based band started out of Bergida’s solo work, releasing the debut album “Walking Down The Streets” back in September with a full band rounded out by Mike Thies - met during his Skidmore days - and Abraham Pollack. “Walking Down The Streets” features a melodic, alt pop sound with thoughtful tinges at times reminiscent of The Smiths, and serene lyrics that detail Bergida’s life on both ends of the country, with stories of Brooklyn cafes and driving up the California coast. The band will perform at the Rock Shop on November 5.